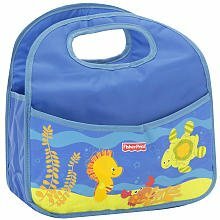 One of my readers is going to win this same Fisher-Price Ocean Wonders Aquarium Bath and Changing Caddy! GIVEAWAY ENDS MAY 10TH AT 11:59PM (CENTRAL TIME). The winner will be chosen at random.org. I will e-mail the winner, and they will have 48 hours to claim their prize. Hi! I am the newest follower from the Follow Me Back Tuesday blog hop! Thanks for stopping by and following! I am now following your precious blog. I just became your newest follower and would love it if you would do the same for me. I saw this giveaway listed on Tight Wad in Utah. I entered the IntelliGender giveaway. I entered the Kiki Fashions giveaway. I came over from Tightwad in Utah for the giveaway ending today but stayed to enter a few more. Lol. Thanks. I entered the Dainty and Dapper giveaway. leurre at ymail dot com. I found your wonderful giveaway on OLS. I am following via GFC and would love to win this for our baby due in September.